Covers techniques required to communicate technical information in a graphic form. 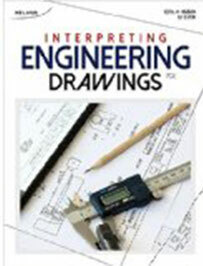 Includes sketching, orthographics, pictorials, sections, mechanical connections, auxiliary drawings and developments to provide the basics for developing CAD working drawings. Emphasis will be placed on understanding rather than draftsmanship. Example drawings will be analyzed. Recommended as a prerequisite to CAD graphics courses. BCIT reserves the right to cancel courses. In the event of a part-time studies course cancellation, you will be notified at least two business days prior to the course start. Please ensure that your contact information is current. No class will be held Monday May 20th - Victoria Day. Describe the role of technical graphics in the engineering design process. Identify graphics for fastening and finishing machine components. Interested in being notified about future offerings of MECH 1000 - Drafting Fundamentals for Mechanical? If so, fill out the information below and we'll notify you by email when courses for each new term are displayed here.